We are an established television repair business based in Birmingham. 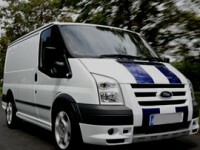 Our engineers offer a pick up, fix and return service for all makes and models with prices starting from £19. We aim to offer a same day service subject to parts being in stock. Please call your local engineer so we can diagnose the problem. Call us now for immediate diagnosis and quotation. For TV Repairs in Birmingham 0121 259 0387 For TV Repairs in Solihull 0121 745 6339 For TV Repairs in Walsall 01922 780 041 For TV Repairs in West Bromwich 01922 780 041 Please note payment is strictly cash on delivery. No comments by sarabennett yet.